May 15, 2018 - Guests at the 2018 Northeastern Forest Products Equipment Expo had the first-ever look at CBI’s newest horizontal grinder: the Magnum Force 6800CT. 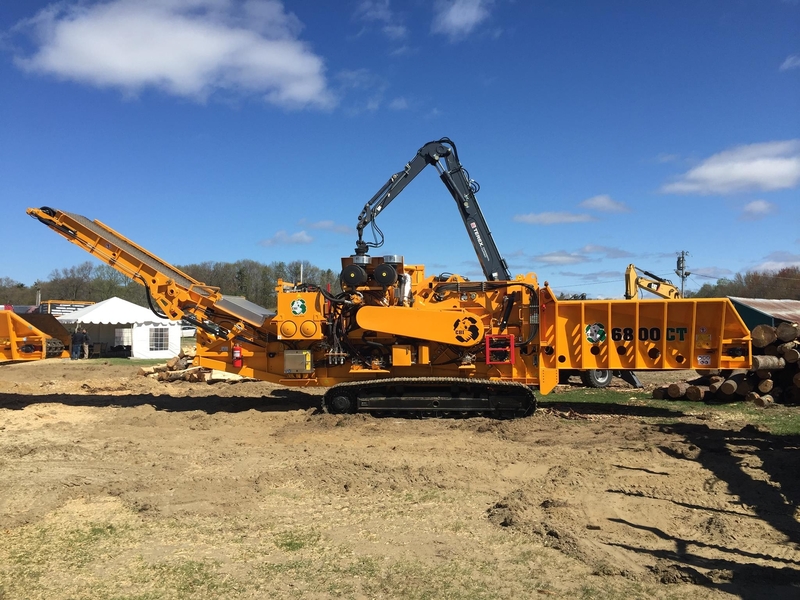 CBI premiered the 6800CT with the TSC 80T Tracked Conveyor this weekend at the Northeastern Forest Products Equipment Expo in Vermont. CBI equipment was paired with Terex Ecotec’s TWH 226 Material Handler, showing the complementary value of both Terex Corporation brands in a single operation. Relentlessly improving on the 6800BT’s design, the 6800CT’s 190-degree screening area lets production rates surge beyond 200 tons an hour. The naturally efficient design of CBI’s offset helix rotor minimizes kinetic energy loss from each strike, requiring less power to rotate while evenly distributing wear and outproducing the competition. Ripping material right through it, this machine processes land clearing debris, pallets, clean industrial waste, stumps, logs, and whole trees as fast as it can be loaded, giving owners command over intense production deadlines. CBI & Ecotec will be exhibiting in Germany this week at IFAT 2018 from May 14th–18th and also in Virginia at Expo Richmond May 18th–19th.